Andy services the Greater Puget Sound area and is a member of the American Farrier Association and Farriers Association of Washington. He likes to keep up a regular work schedule on horses and offers therapeutic work. He is comfortable working with other pros, trainers, farriers, and veterinarians. His clients say it best. 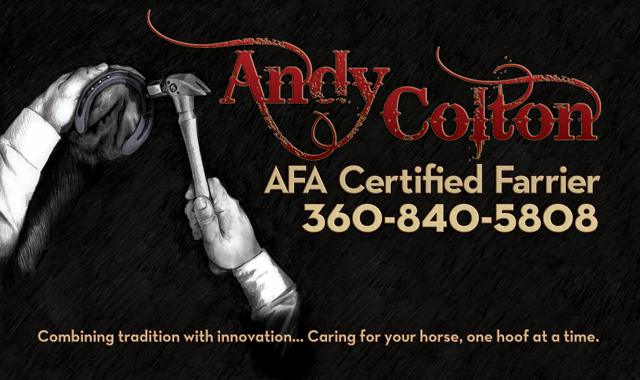 Certified with the AFA - American Farrier's Association. Andy brings you 15 years of experience. He continues to work with Brian Strelow and attend continued education clinics. I like to keep sound horses... sound.